It is no secret, I really dislike messes and things that are dirty. I like things neat and tidy and if a mess has to be made then I want it to be easy to clean up. And the funny thing is, I'm the mom of a toddler. Toddlers don't understand that life exists without messes and the ironic thing is that I believe toddlers shouldn't have to understand. Yes, I want to raise my daughter to clean up any mess she makes, but I also want to raise my daughter to know that life is fun!!!! And that sometimes a mess does need to be made to have said fun (I cannot believe I just said that either, but it IS true). My Baby K is an outside girl; she loves to play on her swing set and blow bubbles and run around and roll in the grass and just have fun - outside. And I certainly don't want to stifle that fun for her, so I make sure that I have a trusty sidekick to help me clean up any mess that might be created. 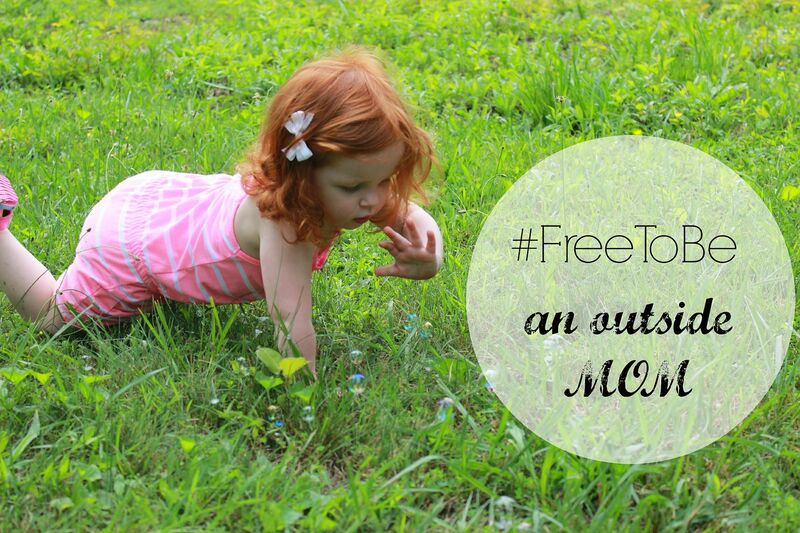 With all free clear laundry detergent I am #FreeToBe an outside Mom, the Mom that K needs! 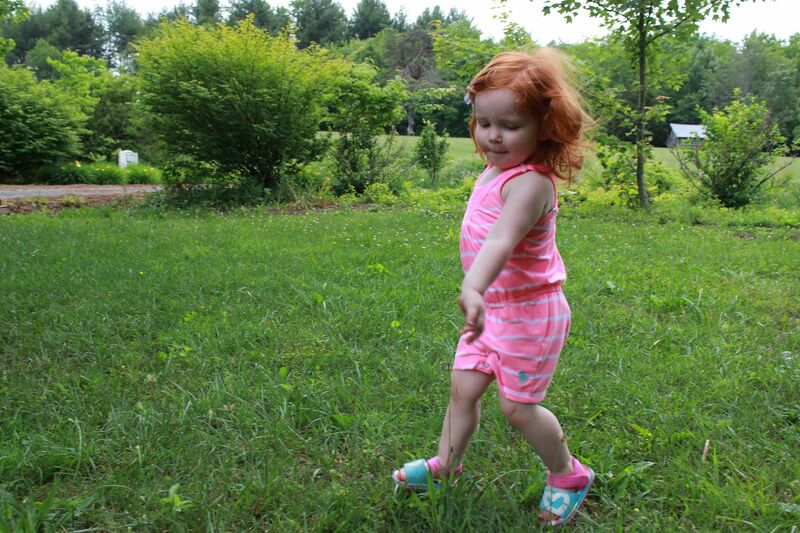 I love to see K run around and smile and giggle and even say "this is fun." All of her joy really warms my heart. Because of all free clear, I never have to worry about grass stains on her clothing from her crawling around outside. I can dress her as girly as I want, let her play outside and know that my laundry will come out clean because of the powerful stainlifters included in the detergent. 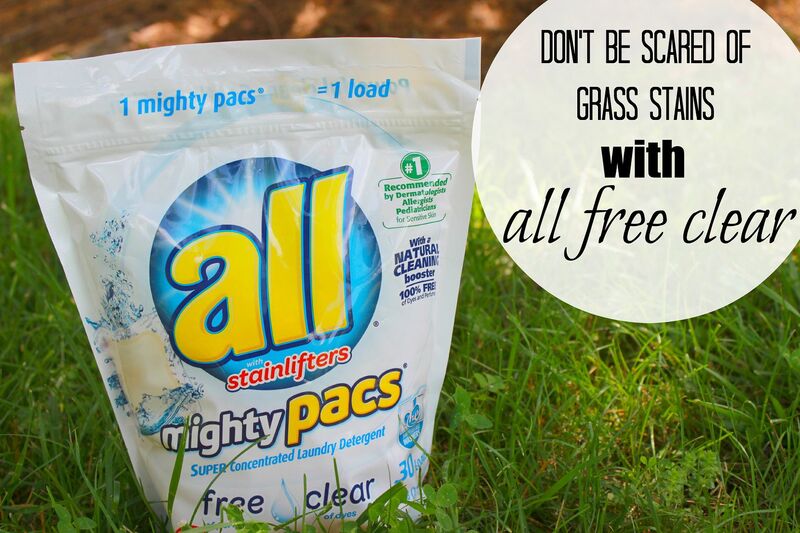 And I really enjoy using the all free clear mighty pacs for easy laundry washing because there is no measuring involved - just toss in one pac and clean an entire load of laundry! Easy peasy! 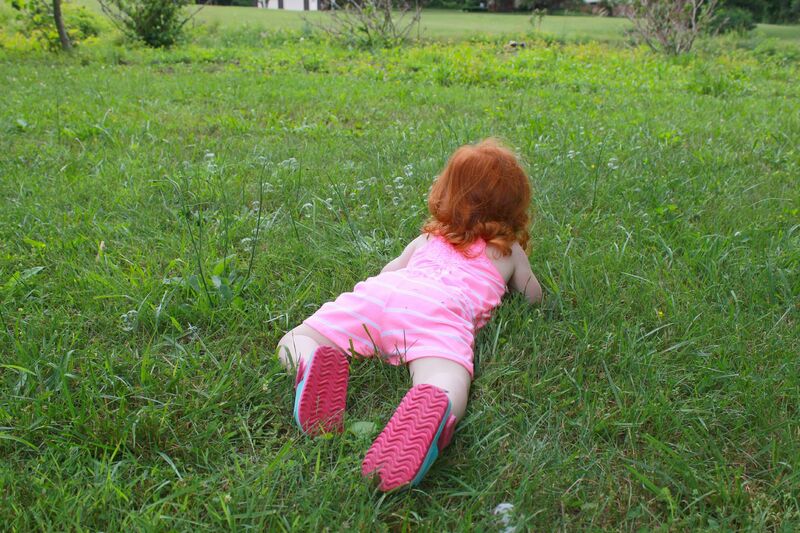 The ease of the all free clear mighty pacs allows me to get back to playing outside with my girl! AND I know that K's skin is protected from irritation because all free clear is super gentle. 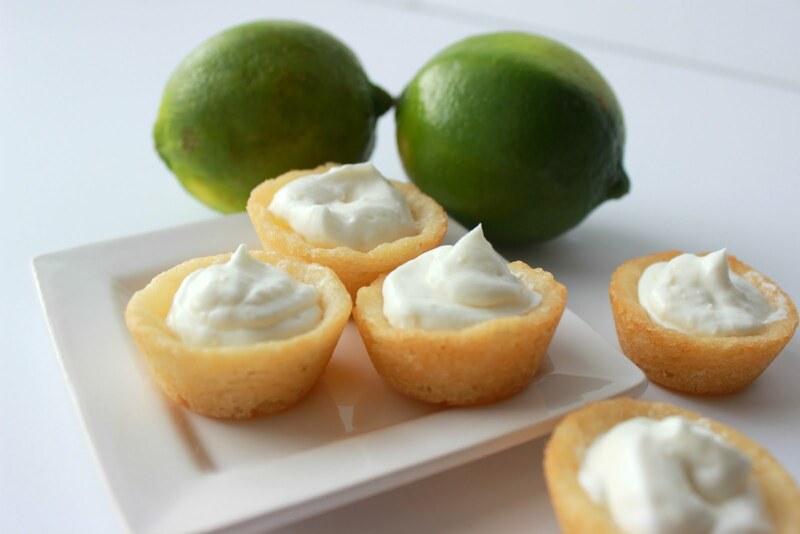 If the weather is sunny and warm, it is a guarantee that we will do some sort of activity outside. 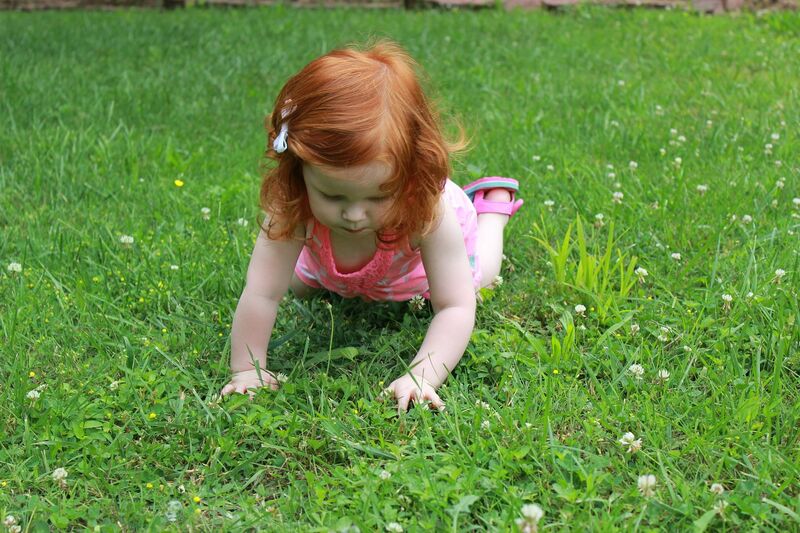 Crawling in the grass and popping bubbles is the current favorite pastime for K. She will run and crawl from bubble to bubble saying "pop pop pop" or "I pop it." I love her want to be outside and to let loose and have fun. She inspires me daily. Just for you guys, I have a coupon that you can use to get $1.00 off your purchase of all free clear. That is right, click right here to get your savings!!! Oh and all free clear has some awesome new products that you might be interested in too. They just added all free clear OXI mighty pacs and all free clear OXI laundry booster. With extra strength cleaning power, you can clean, whiten and tackle stains without the worry of irritation. 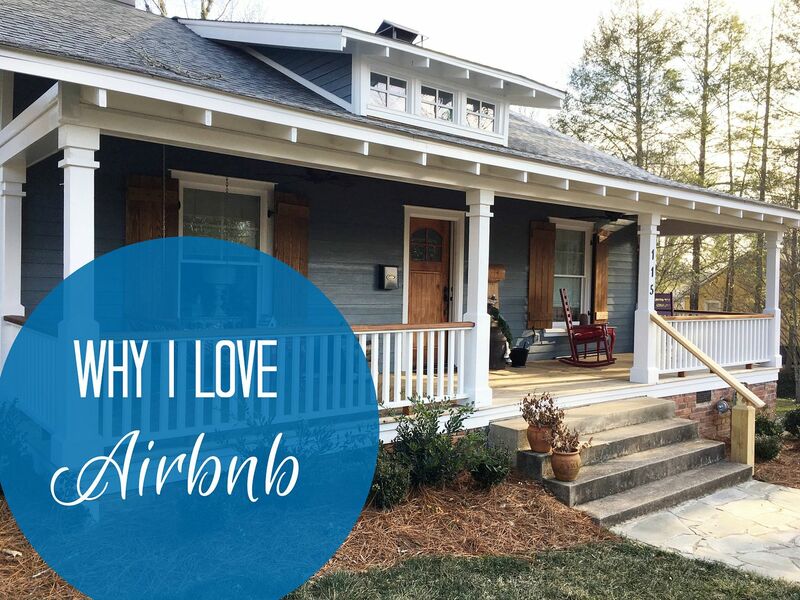 Because really, you have enough to worry about with little ones in the house.